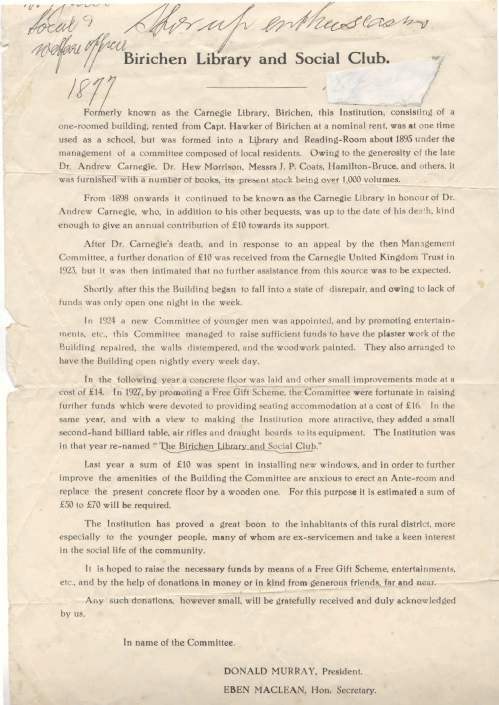 One page document summarising the history of Birichen Library and Social Club from its formation in 1895. The document is dated 1931. From 1898 it was known as the Carnegie Library owing to donations by Andrew Carnegie.